We will celebrate World Radio Day with a listening event curated by the Portuguese anthropologist Filipe Reis, professor at the ISCTE – University Institute of Lisbon. Reis has been dedicating his research to the radio field and to the anthropology of sound. 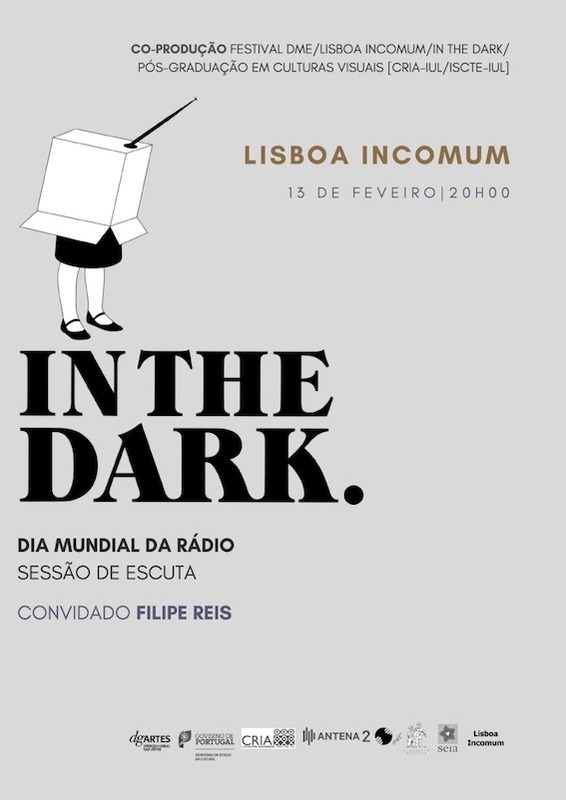 This event is a collaboration between In The Dark Lisboa, the Festival DME, Lisboa Incomum and the Centre for Research in Anthropology (CRIA). We will listen to Filipe Reis’s work followed by a talk about sound and radio. This In The Dark Lisboa session is in Portuguese.